1. Mix sooji, wheat flour and salt in a wide bowl. 2. Add enough water to knead a soft dough. Keep it aside for 10 mins. 3. Make lemon sized balls with the dough. With the help of dry wheat flour, roll it into thin (not too thin) rounds (circular shape) of even thickness. 4. Heat oil in a pan and deep fry the pooris till they become very light brown and crisp. Serve it hot with Poori kizhangu. 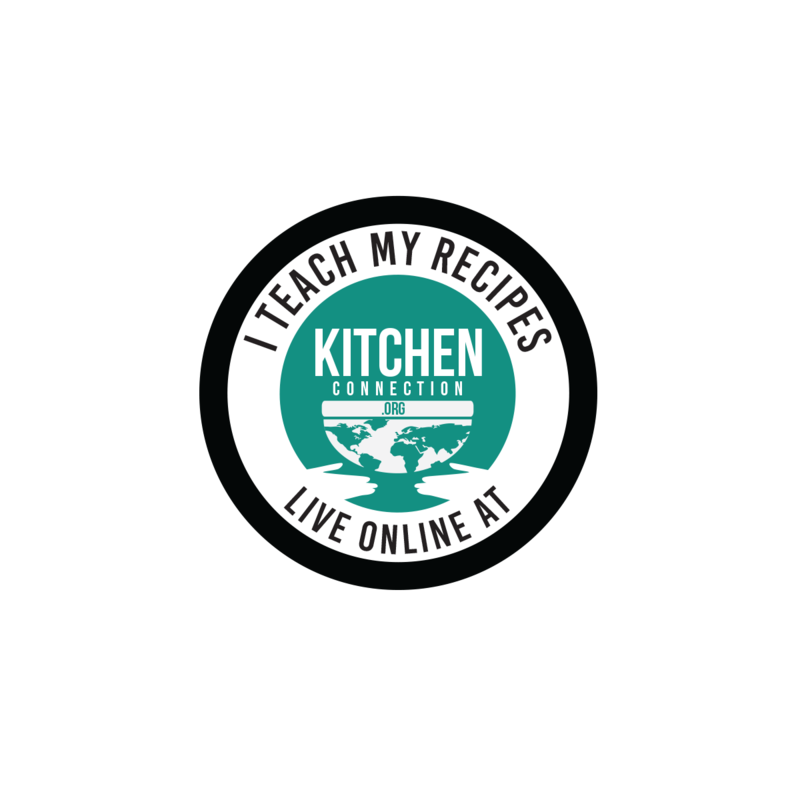 Fellow bloggers, I am happy to inform you that my Lemon Rasam recipe has won an award in CMT – Daal/Kadhi/Sambar/Rasam hosted by Priya Srinivasan from Enveetukitchen. Fluffy poori and potato masala looks very inviting and makes me hungry, congrats dear..
Lovely pooris.. looks absolutely perfect !! Wow! What a perfect and yummy pooris. Congrats on your win dear! lovely fluffy puris--make me drool ! congrats and the pooris look perfect! yum! congrats on winning an award! the pooris look so yummy, all puffed up every poori maker's dream! All time favorite, perfect combo.. Congratulations:)!!! On the winning recipe. 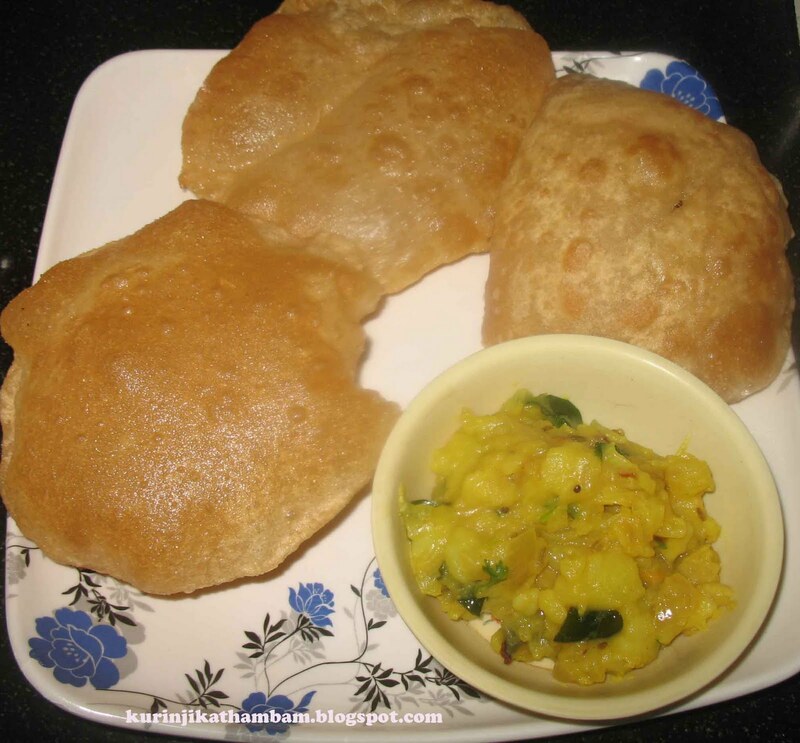 the puri and sabji looks so yummy,nothing like fluffy hot puris with some aloo sabji.. Delicious poori with the potato masala! Congrats dear. Poori masala looks delicious, ultimate comfort food.